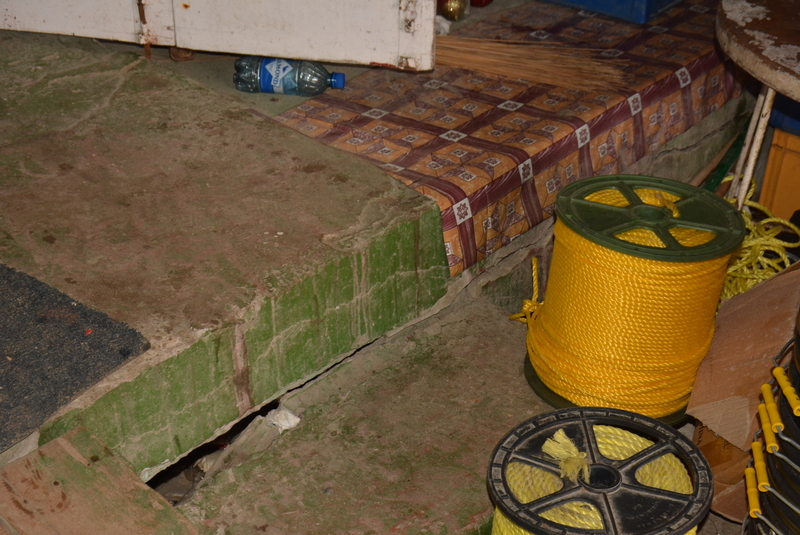 Despite a report presented by the engineer of the Public Infrastructure Ministry claiming that the Charity Market Centre Wharf has sunk more than six inches and poses a serious risk to life and limb, the vendors utilising the area are refusing to relocate until the ministry mobilises a team to execute urgent repairs. representatives from the Regional Democratic Council and the Charity/Urasara Neighbourhood Democratic Council on Tuesday. 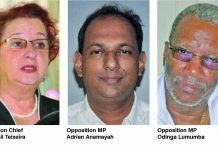 Vice Chairman of the Region, Nandranie Coonjah, said the Market Centre Wharf at Charity has been engaging the attention of the region’s Works Committee since August of 2017, and that is the reason for the initial study on the wharf. She explained that the regional engineer was engaged, and he ventured below the wharf and discovered the rapid deterioration. lives are going to be lost; so the Works Committee came up with the recommendation to have consultation and to close the wharf until something can be done. However, the meeting was organized, we had 18 vendors on board, and they vented their concerns,” she noted. The VC explained that the consultation was held on Tuesday at the Charity Market Square with the vendors, along with the Assistant Regional Executive Officer, NDC representatives, and the engineer; where a presentation on the condition of the wharf was done. 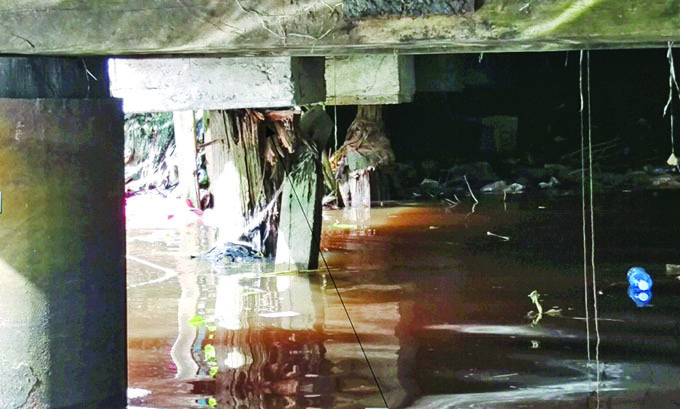 “The engineer gave them a synopsis of what was happening, and what is more disturbing is that this wharf is tied to the public road and the engineer indicated that this wharf is leaning towards the Pomeroon River. Who knows about the Pomeroon knows that it is the deepest river in Guyana, and should that wharf sink in the river, then it is going to pull the entire road, and Charity is a vulnerable area due to the soil texture, and the entire housing/business area could be flooded should this wharf go overboard,” she reported. 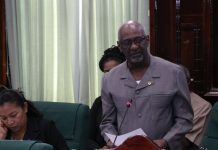 Coonjah said that all that information was related to the vendors, but despite that, the vendors are adamant that they would remain there until Public Infrastructure Minister David Patterson mobilise his technical team and visit them and instruct their relocation. She said the NDC has already blocked off some parts of the wharf to prevent trucks from accessing it, so that the weight would not sink the wharf more. The VC also noted that after the vendors were steadfast in the refusal to move, the meeting ended and the team took a walk around the area. The engineer pointed out that the wharf has sunken by at least two additional inches and the cracks are getting wider. When Guyana Times visited the Market Centre on Thursday, large cracks were observed on the floor, with several rotting boards. Further, most of the piles beneath the wharf were determined to be no longer able to support the structure. The solid concrete wharf is thus sitting precariously on a few remaining piles, and the prognosis is that it would likely collapse. The vendors reported that they are aware of the dangers posed by the sinking wharf, but they need a solid plan before they can relocate their businesses. “I selling here over 10 years now, and I know this wharf a sink, but we can’t just pack up and move just so, because business done bad already and then we nah go know how long them go take to fix this place. We need a proper plan with the Government,” vendor Andrew (only name given) noted. 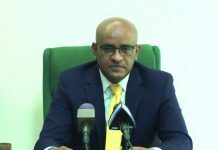 Meanwhile, Regional Chairman Devanand Ramdatt has said the wharf has deteriorated significantly, and he would have raised the issue with the Regional Executive Officer and the Public Infrastructure Ministry. 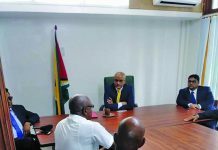 He noted that one of their RDC Councillors sits on the National Sea Defence Board and would have raise the issue at that level, and a team would have visited the wharf subsequently and registered its concerns. “I think it is prudent for us to have the ministry and its technical team to give definitive answers. If we’re to move those vendors as of now, the decision to relocate and for vendors to operate they have to be given clear timelines, and the ministry needs to get on the ground and to have the interactions with our people…It is a very dangerous situation there in Charity,” he lamented. Ramdatt believes that little is being done in terms of safety and remedial works to the wharf. The structure is 32 years old and requires urgent attention, since over 30 persons utilize it for vending and countless other for other purposes. It is also a parking area for many persons using their boats to traverse the Pomeroon River.